Man, 2016 really took a weird turn after Prince died. Russians invading our elections. Wave after wave of surprising deaths. The ascension of Donald Trump against all the best logic and reason. So much happened, it made you wonder if the only thing holding the fabric of the universe together was a petite man with a powerful voice. With his sudden and shocking death—which occurred one year ago this week, on April 21—everything unraveled. Or, at least, that’s how it seemed as we watched hopes dashed and dreams deferred left and right for months on end. Prince was a once-in-a-lifetime iconic artist. A trendsetter. A revolutionary, likely never to be paralleled. He blurred the lines, he made the crooked the straight. He made you question everything you knew, then dance it off. He loved his blackness and black people, while at the same time bringing everyone together—black, white, Latino, Asian, gay, straight, religious and secular—all in the name of a good, funky time. That’s why all this week, The Root is celebrating the life of Prince—his music, his films, his loves, his works—starting this Monday. Each day through Friday, the one-year anniversary of Prince’s death, The Root will publish stories relating to Prince and our complete awe of him and his legacy. It’s going to be a celebration of a life that touched so many of us, in so many complex ways. For me, Prince invaded my life, my home, my psyche when I was in elementary school. At the time, like many 7-year-old little black girls growing up in the ’80s, my heart was for Michael Jackson. I owned Michael Jackson dolls. A poster of him in a brown bomber jacket adorned the bedroom door I shared with my sister. But my older sister, about to turn 12 and heavily influenced by MTV and harder rock music, had clearly more “mature” tastes. She liked Prince so much, she begged to watch Purple Rain even though my mother didn’t allow us to watch anything but G-rated movies when we were growing up. She liked him so much, she gave away Prince Purple Rain folders at her 12th-birthday party—a party I promptly ruined by talking loudly and proudly through an entire showing of the 1982 John Huston film version of Annie. When my parents finally relented and let her watch Purple Rain with them on a VHS tape, I was pretty much banished from the family room, told I was “too young” for Prince, but I still tried to catch a glimpse anyway, wandering in the room during the “purify yourself in the waters of Lake Minnetonka” scene. I’ve been fascinated, titillated and corrupted by Prince ever since. And I know I’m not alone. I would go from “When Doves Cry” and “Kiss” to “Gett Off” and “I Hate U” to “Musicology” and beyond with Prince. I saw him in concert four times, joking that I needed him to stop touring because it was making me poor, since I would buy two tickets each time, wanting to share the experience with a friend. The last time I saw him was in 2015 in Baltimore when he put on a concert in support of protests that had erupted over the death of Freddie Gray. 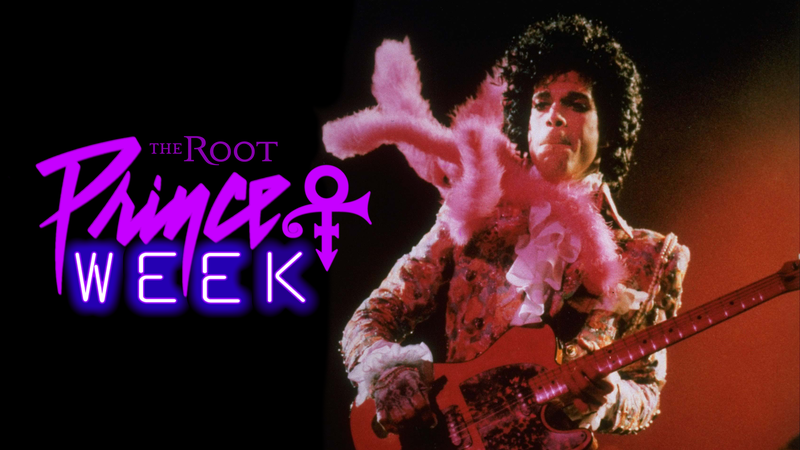 So join us this week at The Root in celebrating this transformative artist and share your Prince stories in the comments. Let us all gather here together to get through this thing called life, without Prince, but not without his memory, his life and his music.